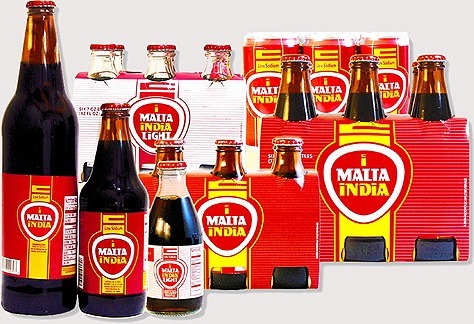 Malta (also called young beer, children’s beer, or wheat soda) is a type of soft drink. It is a carbonated malt beverage, meaning it is brewed from barley, hops, and water much like beer; corn and caramel colour may also be added. 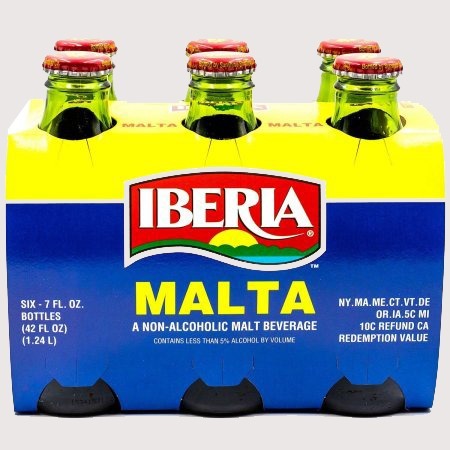 However, Malta is non-alcoholic, and is consumed in the same way as soda or cola in its original carbonated form, and to some extent, iced tea in non-carbonated form. In other words, Malta is actually a beer that has not been fermented. It is similar in colour to stout (dark brown) but is very sweet, generally described as tasting like molasses. Unlike beer, ice is often added to Malta when consumed. A popular way Latin Americans sometimes drink Malta is by mixing it with condensed or evaporated milk. 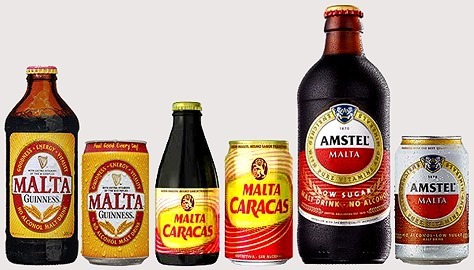 Nowadays, most Malta is brewed in the Caribbean and can be purchased in areas with substantial Caribbean populations. Aside from the islands of the Caribbean, Malta is also popular in Caribbean coastal areas such as Panama, Colombia, and Venezuela and countries that share a Caribbean coast. 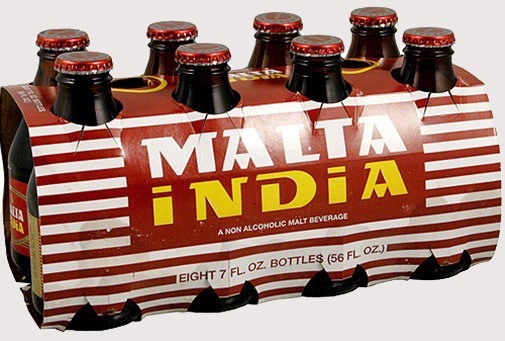 Malta is brewed worldwide, and is popular in many parts of Africa like Nigeria, Chad, Ghana, Cameroon, and in the Indian Ocean. This beverage is also popular in several parts of Europe, especially Germany. 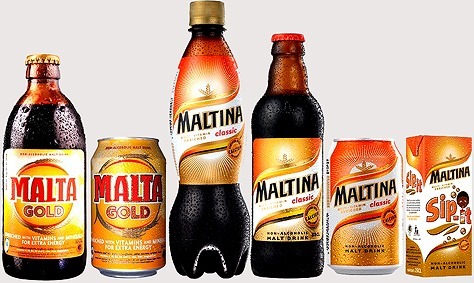 Malta Guinness is brewed under license internationally. Malta originated in Germany as Malzbier (“malt beer”), a malty dark beer whose fermentation was interrupted at approximately 2% ABV, leaving quite a lot of residual sugars in the finished beer. Up to the 1950s, Malzbier was considered a fortifying food for nursing mothers, recovering patients, the elderly etc. 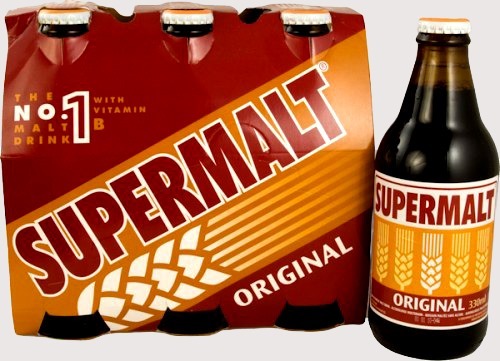 Malzbier in its native form was finally superseded during the 1960s by its modern form, formulated from water, glucose syrup, malt extract and hops extract, which had been on the market since the latter half of the 19th century, notably in Denmark. Such formulated drinks are to be called Malztrunk (“malt beverage”) according to German law, since they aren’t fermented. In colloquial use, Malzbier has nevertheless remained, along with other nicknames such as Kinderbier (“children’s beer”). Some native Malzbiere can still be enjoyed in Germany, notably in Cologne, where the taps of breweries Malzmühle and Sion sell it alongside their traditional Kölsch. Many German breweries have a Malta in their range, sometimes produced under licence (for example Vitamalz). Malta is also occasionally called “champagne cola” by some brands. However, there is a separate type of drink with this name, having a flavour and consistency more akin to cream soda. Despite this appellation, neither drink is a champagne or a cola. Due to its distinctive colour, Malta is sometimes known as black brewed beer. Malta is high in B vitamins. Some breweries, like Albani Brewery of Denmark, fortify their non-alcoholic Malta beverages with Vitamin B complex. Albani Brewery claims on their website to have been the first brewery to create non-alcoholic malt beverages in 1859. 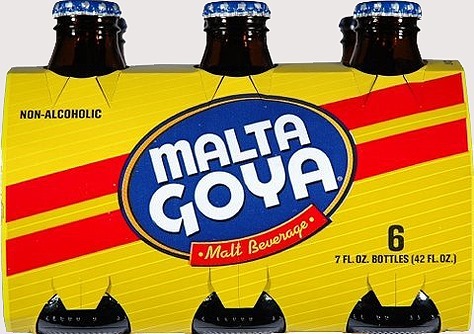 Generally speaking, Malta is readily available in stores in Latin America. It is, however, a little more difficult to find in the United States and Canada.